The Atlanta Falcons (11-5), Pittsburg Steelers (11-5) and Green Bay Packers (10-6) have three things in common. Even the most die-hard of Bears fans would be pessimistic about the start of the 2017 season. Just last year, the Bears finished with a franchise-worst 13 losses, only three fewer than the three playoff teams had collectively. 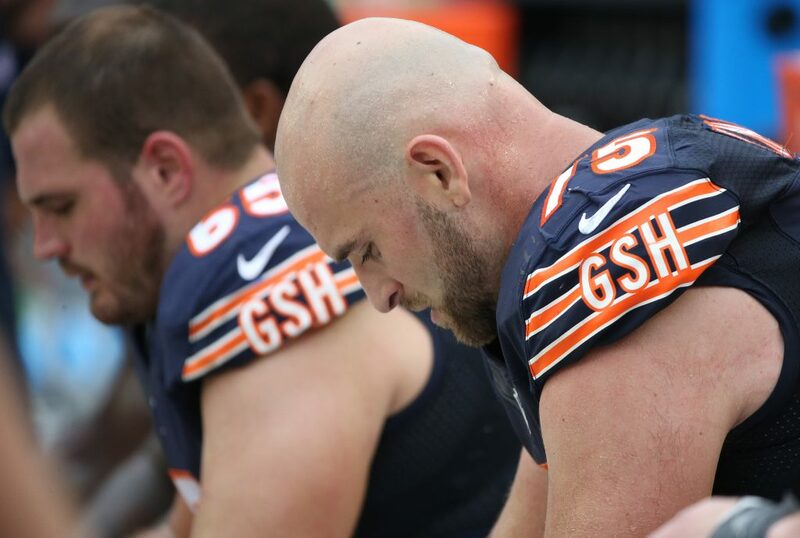 Point blank, the Bears’ odds of starting the season on a positive note are zero to none. To make matters worse, the Bears also face the Tampa Bay Buccaneers, who in Week 10 of last season, destroyed Chicago 36-10. In 2016, the Bears finished with a four-game losing streak and could potentially add four more losses at the start of 2017 before winning their first game. The most difficult task for the Bears when facing the Falcons, Steelers and Packers will be finding ways to stop their potent offenses. The Falcons finished first in the league in points (540) and second in total yards (6,653). While the Steelers were tied for tenth in points (399) and seventh in total yards (5,962). And the Packers finished fourth in points (432) and eighth in total yards (5,900). All three teams also ranked in the top 10 in points per game, Falcons (33.8), Steelers (24.9) and Packers (27). The Bears, on the other hand, struggled last season keeping opponents out of the end zone, allowing 24.9 points per game, which was ranked 24th in the league. With the Bears defense potentially starting three new players in the secondary, the unit will have to develop some continuity and chemistry quick, as they will have their toughest stretch of the season right from the start. And it starts with the Falcons. The Bears will host the division winners of the NFC South in Week 1. Two teammates in NFL Networks Top 100 list will look to carve up the Bears defense at Soldier Field. Reining MVP Matt Ryan (No. 10) and Julio Jones (No.3), will look to take advantage of the Bears’ likely new starting cornerbacks, Prince Amukamara and Marcus Cooper. The following week, the Bears will hit the road and face another deadly quarterback and receiver duo in Jameis Winston and Mike Evans. Last season, Winston threw for 312 yards and two touchdowns against the Bears in a Week 10 victory. Then the Steelers will look to beat down the Bears at home, with their pair of top 10 players in the NFL’s Top 100. Running back Le’Veon Bell (No. 9) could potentially have a field day if the interior of the Bears defensive line suffers any kind of injuries. And of course, Antonio Brown (No. 4) is an impossible matchup for any defense. To end the daunting first four weeks, the Bears will play the Packers at Lambeau Field on Thursday Night Football. Packers quarterback Aaron Rodgers was ranked No. 6 overall in the player’s list and will look to continue his impressive record against the Bears, 14-4. Usually, the start of a new NFL season brings new hope, especially to a team that has struggled – not this time. For the Bears, it brings the inevitable start to a long and agonizing season. Even though the early portions of the schedule will be a tall task, I remain (cautiously) optimistic that Chicago can find a way to mitigate the damage. The Bears only lost to the Packers by three points back in December, a point where Chicago’s season was lost, Matt Barkley was the quarterback and the injury list was thicker than a dictionary. I think we can all agree that this team is improved from a year ago, and with a roster full of players looking to prove themselves (individually and collectively) I believe that the Bears will surprise people this season. If the Bears come out of the gate 0-4 but make every contest a hard-fought battle, and don’t allow the Falcons, Buccaneers, Steelers and Packers to walk over them … I will be satisfied and excited for the remainder of the season. Sitting here in July, with so much up in the air, I can’t fathom calling the first month of the season a lost cause. As you point out the Bears were competitive with the Packers last year with rookies in the secondary. Not only that but didn’t Barkley have a truckload of turnovers against them? The Falcons will have a new OC, there will be a learning curve there, and they will have the Superbowl hangover. If the Bears have to face them week one is the best possible time. Tampa is more dangerous than last year but hopefully Glennon can provide some insights into his old team that will tip the scales like Conte did last year. If nothing else maybe he will be out to prove they shouldn’t have replaced him. Wheaton in the Tampa comments here.